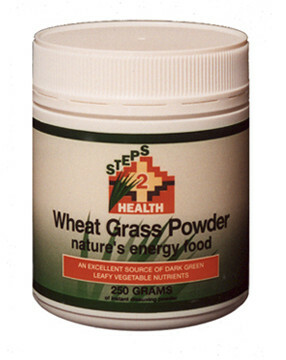 Steps 2 Health Wheat Grass is a deep green leafy vegetable with 25% made up of extremely high quality vegetable protein containing all 8 essential amino acids. 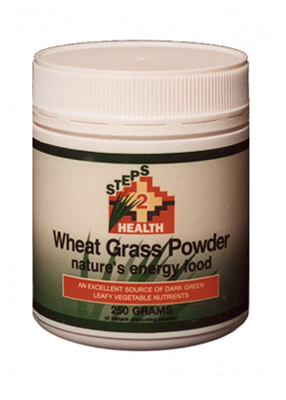 Wheat Grass contains antioxidants, essential vitamins and minerals including trace minerals, is a rich source of chlorophyll and is high in dietary fibre. Wheat Grass contains no gluten. 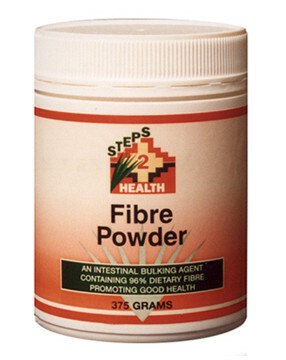 Steps 2 Health Fibre Powder is an excellent source of both soluble and insoluble dietary fibre. 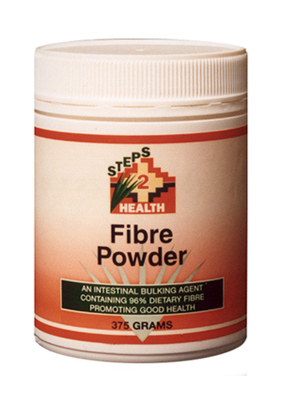 The inclusion of enough dietary fibre in the diet is important to assist with bowel movements, thereby promoting well being. 'wish above all things that you may prosper and be in health, even as your soul prospers' 3 John chapter 1 verse 2.